Over the past decade, content marketing has become one of the most widely-discussed B2B growth strategies, thanks in large part to the thought leadership of companies like the Content Marketing Institute (CMI). 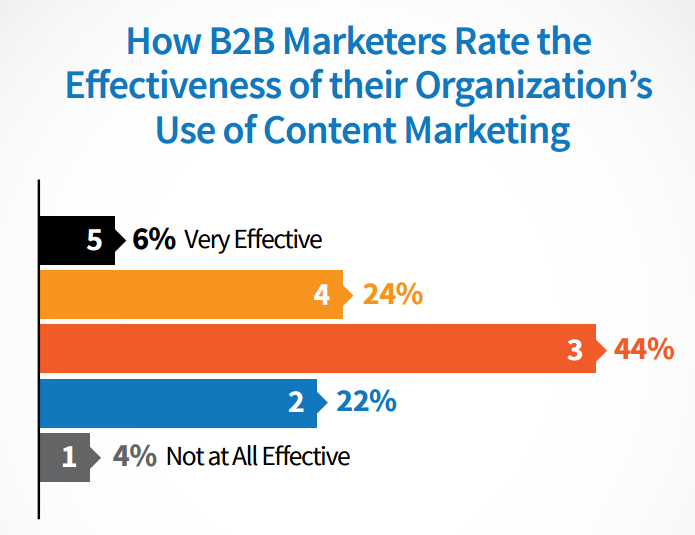 CMI Outlines four important success factors for the “most effective” B2B content marketers. At its best, B2B content marketing positions your brand as a leading source of information for your industry, which sets you up for success in several other critical areas: audience engagement, partnership opportunities, lead generation, and (hopefully) sales. However, only a small handful of leading brands have perfected their content marketing strategies. The rest of us down on planet earth have much to learn. One of the best ways to gain insight is through empirical research, especially when that research sheds light on the actions and results of other content marketers. It just so happens, CMI puts out a comprehensive report on the state of B2B content marketing every year. 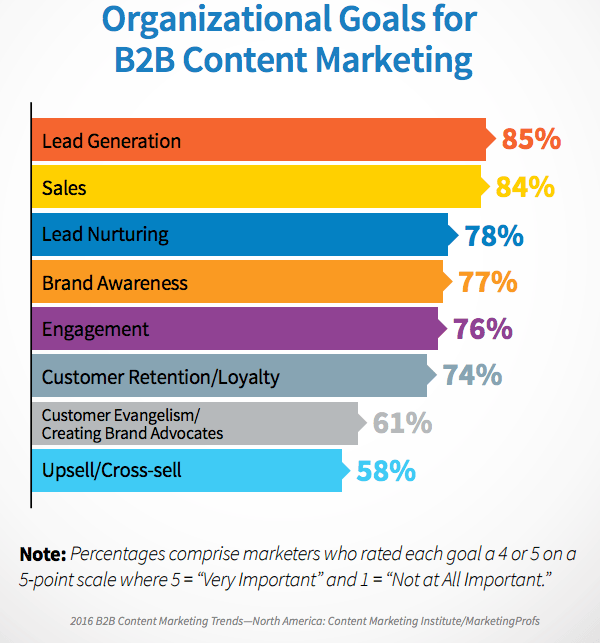 They recently released the sixth annual B2B Content Marketing Benchmarks, Budgets, and Trends — North America report in partnership with MarketingProfs and sponsored by Brightcove. The report presents findings from a survey of over 1,500 North American B2B marketers across various industries and company sizes. At TechnologyAdvice, we appreciate high-quality research, especially when it helps B2B companies grow. In this post, we’ll take a closer look at some of the data and outline five key takeaways from this year’s report. 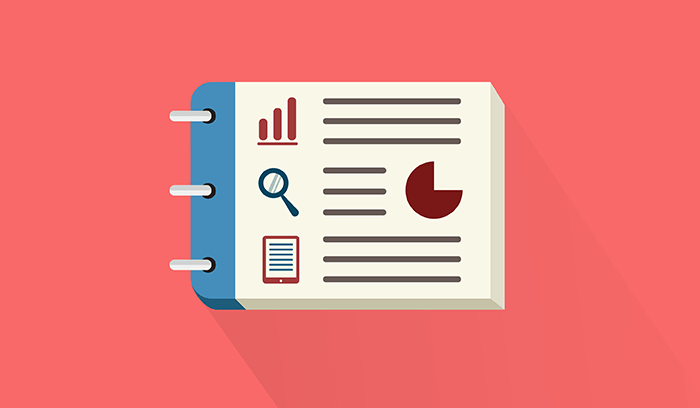 According to the report, 88 percent of businesses are “doing” content marketing. Over 50 percent of those surveyed say their companies plan to increase spending on content marketing, but only 30 percent call themselves effective. The discrepancy actually makes a lot of sense, when you think about it. As content marketing generates hype and advocacy, more brands are hopping on board (only 32 percent ranked themselves as sophisticated or mature). Eager to see a quick return, they start throwing money at things. But without the right experience and testing, early efforts will fall flat. Don’t fret. Like regular marketing, content marketing is heavy on experimentation and growing pains. The more you test and measure campaigns and get input from stakeholders at your company, the closer you’ll get to creating content that delivers on key objectives. If there’s such thing as “used to” in a field that’s arguably less than 10 years old, content marketing used to be all about eyeballs and awareness. How many people can you get to come to your site, read a piece of content, and share it with other readers? But even at its best, that approach fails to support any kind of measurable business goals. In keeping with the revenue marketing movement pioneered by analysts at Pedowitz, many organizations are now refocusing their content marketing objectives around lead generation, revenue, and sales. Eighty-five percent of respondents said lead generation will be the most important goal in the coming year, and 84 percent said sales. Marketers also said lead quality, sales, and conversation rates are the most important metrics, even though they’ve historically paid more attention to site traffic. Based on CMI’s findings, organizations with clearly-defined content strategies tend to hit higher marks in almost every area of performance. This one should be a no-brainer, but sometimes it helps to see the evidence. The lesson to be learned is that strategy and action are equally important. Before you launch a bunch of new campaigns and content based on an educated guess, get together with your team and hammer out some concrete ideas about where you’re headed and what you need to do to get there. 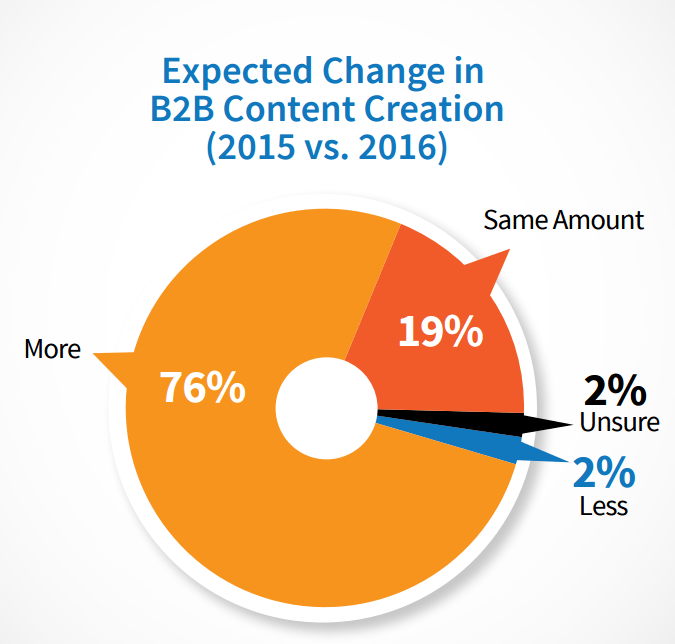 Roughly three-quarters of respondents said their companies plan to create more content in 2016 than they did this year. Only 19 percent said they’ll stay at the same level, and 2 percent said they’ll create less. But quantity doesn’t always predicate quality. That’s the irony. As brands ramp up their content creation, the deluge will further accentuate the gap between dilettantes and professionals. It’s already pretty easy to spot a “bad” piece of brand content, and as the global volume increases, your prospects will only get choosier. When CMI asked marketers to specify their top priorities for internal content creation, 72 percent chose “creating more engaging content.” The fact that it’s a top priority reflects just how hard engagement actually is. 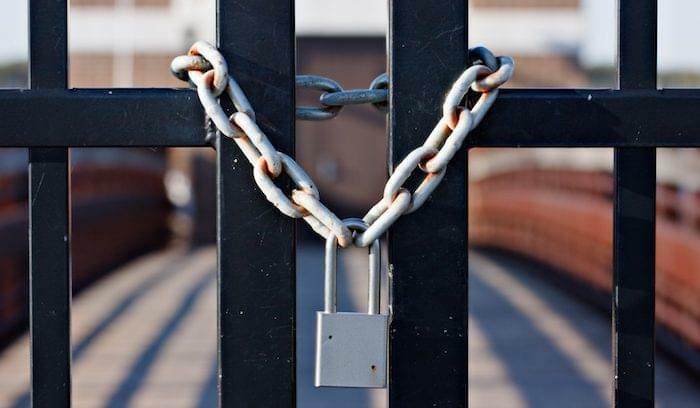 A separate study from August by the CMO Council revealed that 45 percent of marketers doubt their ability to “captivate and engage” their audience. Brands are trying a lot of different methods to connect with their audience. Some have swayed in the direction of mainstream sites like Buzzfeed and Mashable, publishing articles with broad appeal, “clickbait” titles, and humorous GIFs. Other brands are doubling down on their industry expertise and technical knowledge. Both approaches have their pros and cons. 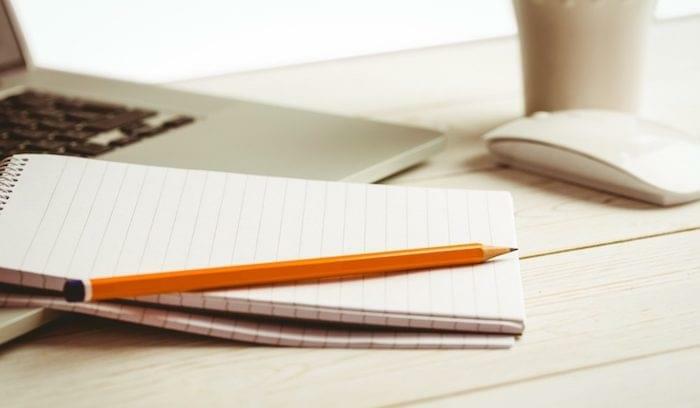 The best way to engage your prospects is to write for them, not at them. Know your target audience and create personas that guide content creation at various stages of the buyer journey. Then, whether you make infographics, 500-word listicles, or 4,000-word white papers, you’ll be appealing directly to your prospect’s interests, needs, pain points, and priorities. Whether you manage your own content, outsource, or work through a syndication partner, you should have the highest standards for quality and a clear, documented strategy. But remember, content marketing is only one piece of the larger B2B puzzle. If you want to successfully create demand, generate leads, and retain customers, you need to fire on all cylinders across inbound, outbound, sales, and support. Sincere thanks to the Content Marketing Institute for these insights. You can check out the full report here.